Caring for my Dry Feet ft. Footlogix Medical Intensive Care Moisturizing Mousse + Pamper Giveaway! Talking about feet in general can be a touchy subject. While some might not be phased by it, others might find it a bit odd and unappealing. I have been lucky in the sense that my feet haven’t really been a major source of pain or embarrassment for me, although I definitely go through worse “foot days.” My reoccurring issues are mostly dryness (and sometimes peeling) and the occasional calluses and rough skin. I do not really wear heels (find out why here), however wearing sandals and flat shoes also has its disadvantages. I know first hand how hard it can be to find a product that can make a noticeable difference in your foot health and prevent the same issues from reoccurring. 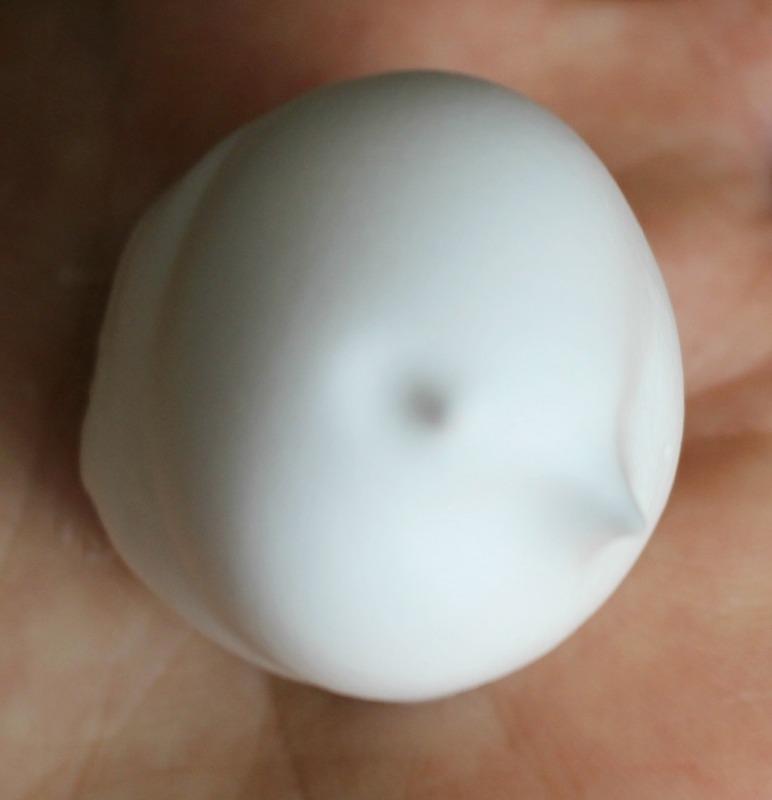 From trying an electronic foot file, to thick creams and pumice stones, I’ve had my fair share of trial and error. I was recently introduced to Footlogix Medical, a foot care company that specializes in healing problematic skin. I was really intrigued by their Intensive Care Moisturizing Mousse*, said to treat common foot problems and prevent further damage. 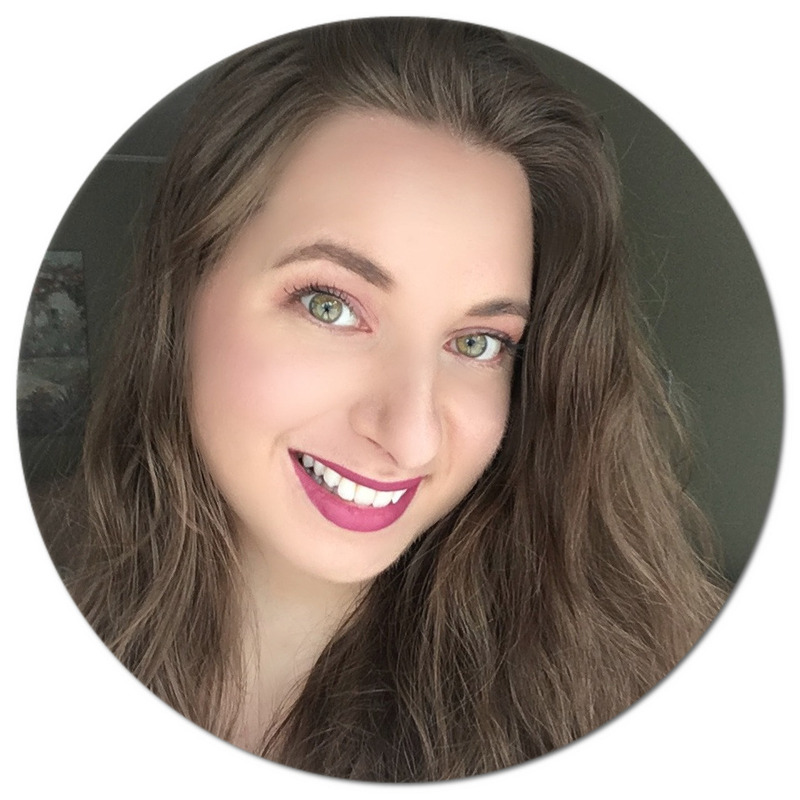 I have been putting it to the test for the last few weeks, so if you care to read about my experience as well as participate in a fun giveaway, make sure to read until the end! 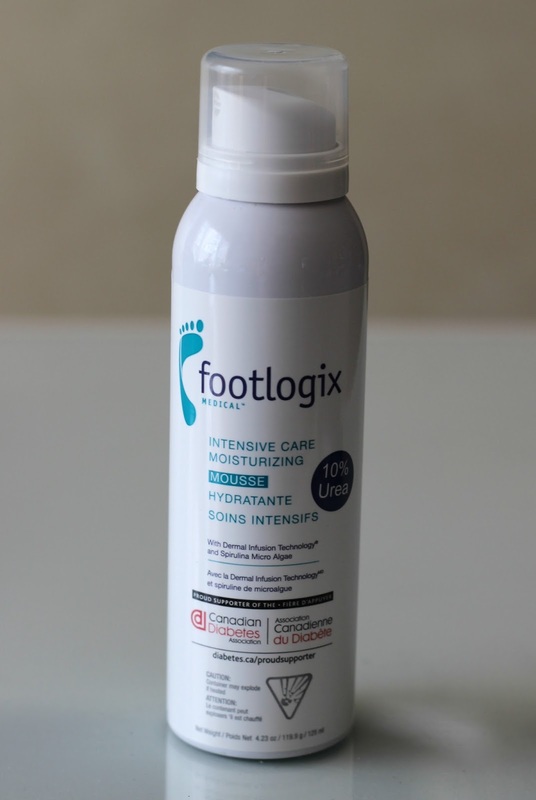 What I find so great about the Footlogix Medical Intensive CareMoisturizing Mousse is that unlike many common foot products that leave a greasy residue, the foam consistency allows you to basically apply and go… yes you read that right! No waiting time required since your skin literally absorbs it within seconds. This mousse actually penetrates all five layers of the epidermis thanks to its innovative technology, leaving your skin feeling baby soft. The main active ingredient is urea, which is what allows to lock in that moisture. Other key ingredients include spirulina (fun fact: I love using this algae as a face mask), which also happens to be anti-fungal and aloe vera juice which helps reduce inflammation (I've found it beneficial to treat my acne, see here). What’s more, this treatment is even suitable for diabetics who often deal with reduced blood circulation to their legs and feet, often leading to swelling and extreme dryness. Applying is a breeze - just a tiny dollop goes a very long way. I make sure to moisturize between my toes and my ankles too, after cleaning my feet of course. The formula is fragrance-free so you don’t have to worry about weird odours developing throughout the day. It also won’t come off in water or get absorbed into your clothing, which is especially appreciated. Not only that, but the product itself is a natural exfoliator and will improve the skin’s elasticity. It’s really a win-win all around! 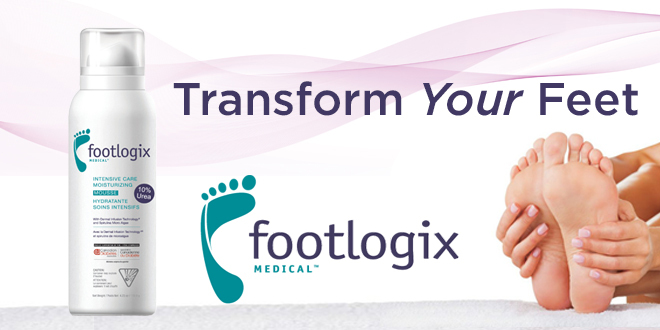 Footlogix Medical can be purchased at Walmart and can be found in the pharmacy section. And now for the giveaway! You could win a $250 Spa Gift Certificate – what better way to fully pamper yourself? This giveaway is open to Canadian residents only (excluding Quebec) and ends on April 29th. To enter, simply head over to this link! Good luck! Would your feet benefit from this mousse? *Disclaimer: This is a sponsored post. Product was provided and reviewed in accordance with my Disclosure Policy.